Why have I been traveling for so long? Hi there! I'm Danish, an Indian freelance traveler and blogger who is forever hopping around from one place to the next In the search of amazing places. New adventures make me the happiest. Because I’m curious for this world. I want to taste the food from every corner of the world, meet new people every day, challenge myself to live with any culture and traditions, and can learn as much as possible. No need to mentions all this come with lot of fun. 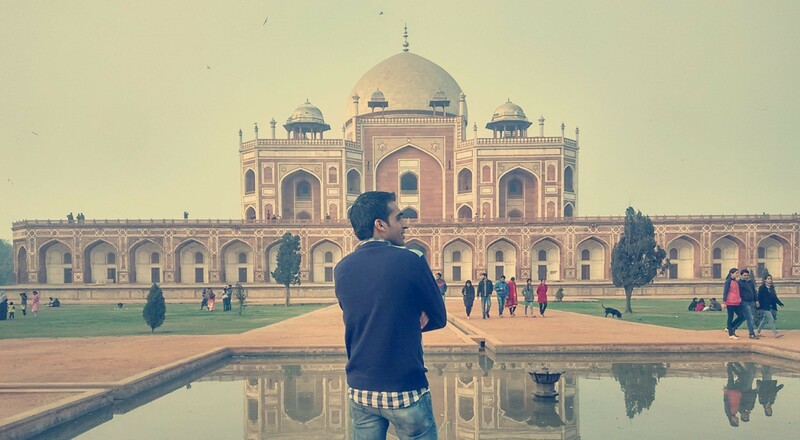 Hey, my name is Danish Akhtar and welcome to my travel blog. I have been traveling the world since 2012 and finally decided in October 2015 to make this website to share my experiences around the world. I work to not only give you tips, tricks and my personal insight for your own travel but save your time and money when you travel next. So i found Danish Akhtar Indian Travel Blogger Backpacker Nomadic Foot. So a little about my story, I was born in Nagina, a small town in Uttar Pradesh India. I belong to a family of transporters or you can say drivers we are in this transport business since my grand father. My father is a truck driver so i have this traveling virus in my blood. I started traveling with my father on a truck as a assistant to him. So i have changed heavy tires of truck, i have traveled for nights and days on Indian roads. I always enjoyed these days of trucking there was lot of fun and learning. So i decided on that time only that i need to see this world but not with a truck, I wanted to make those journeys a bit more comfortable and easy in terms of luxury and having some good experience. Education was the first step towards this plan. So i completed my graduation and came to Delhi and got admission in University of Delhi for my further study of post graduation. Give me some love with on social media as below. Read how traveling makes you a better person. I Passed out from University of Delhi in 2012 with a post graduation diploma in travel and tourism management and decided that I needed to get some sort of career in that I can travel the world and could earn some smart amount of money. So that I m here running a travel company named Edu Travel beside that writing my experience of travelling which can help people.